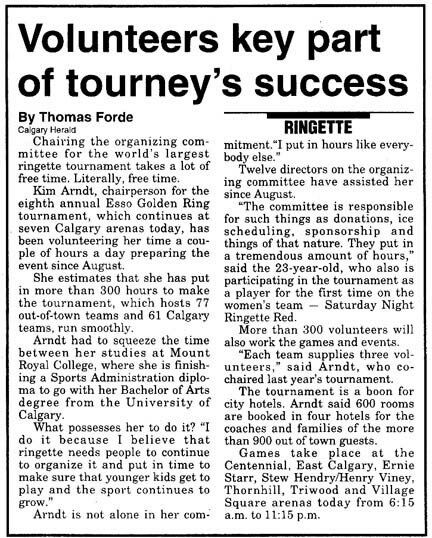 University of Calgary scholarship now named the "Don Henderson Memorial Ringette Scholarship"
Ringette Calgary required all head coaches to attend a mandatory coaches meeting - two meetings were held, one on Tuesday, October 12 and the other on Wednesday, October 13th. 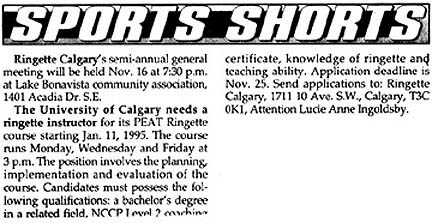 There were two NCCP Level 1 Clinics held in Calgary, and one level 2. 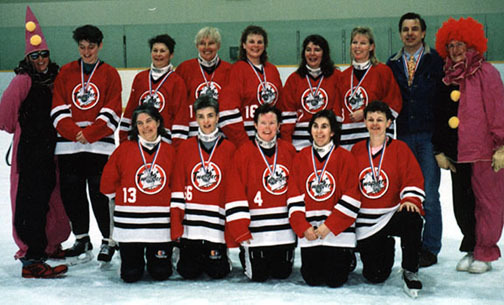 The CRRA hosted a refresher clinic, two NOCP level 1 clinics and one NOCP level 2 clinic. 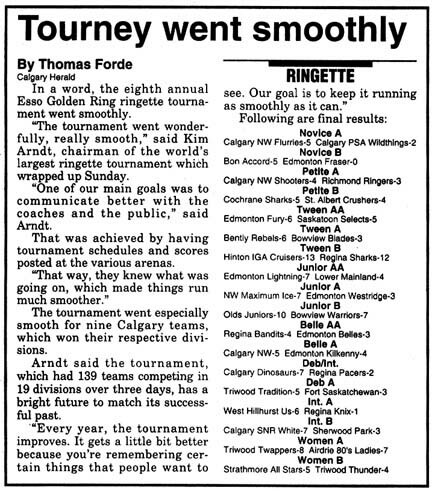 Ringette Alberta implemented their COACHING DEVELOPMENT PLAN, which would raise the minimum coaching requirements over a span of several years. 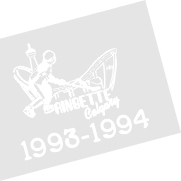 Ringette Canada released the new GYM RINGETTE RULES, and Ringette Calgary purchased gym ringette equipment to loan to schools or teams. 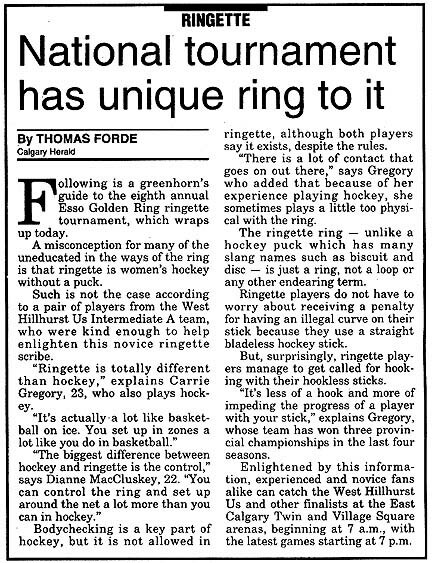 Ringette Alberta introduced a new DISCIPLINARY POLICY which was put together by Erik Laerz of Calgary. 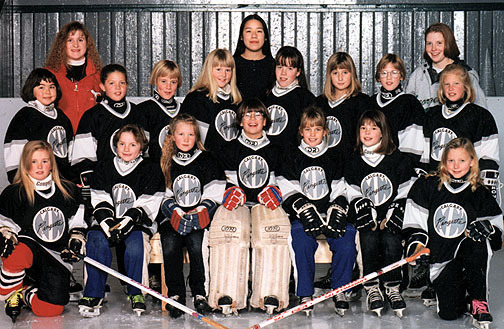 The new policies meant that mandatory suspensions would be issued for serious penalites. 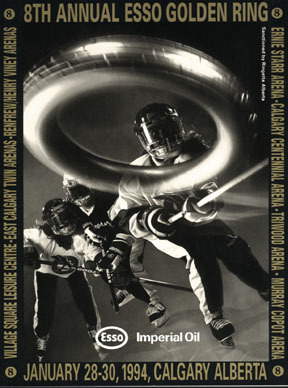 The Canadian Ringette Championships were held in Saskatoon, SK. 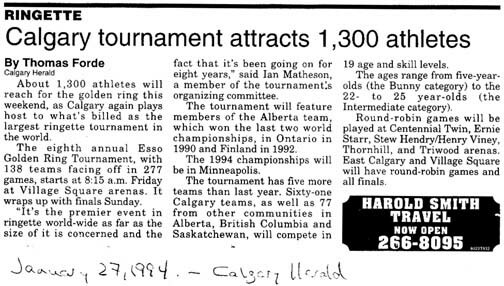 The 8th annual Esso Golden Ring was held Jan.28-30, 1994 and hosted Bunny through Womens. 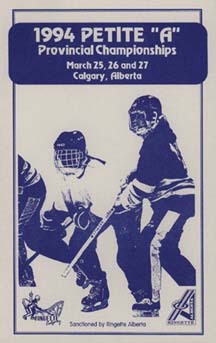 There were 139 teams in 19 divisions.